Man alive, Germany club FC Sachsen Leipzig has the scariest looking mascot I’ve ever seen. What the hell is it? It looks like a mange-ridden lion. 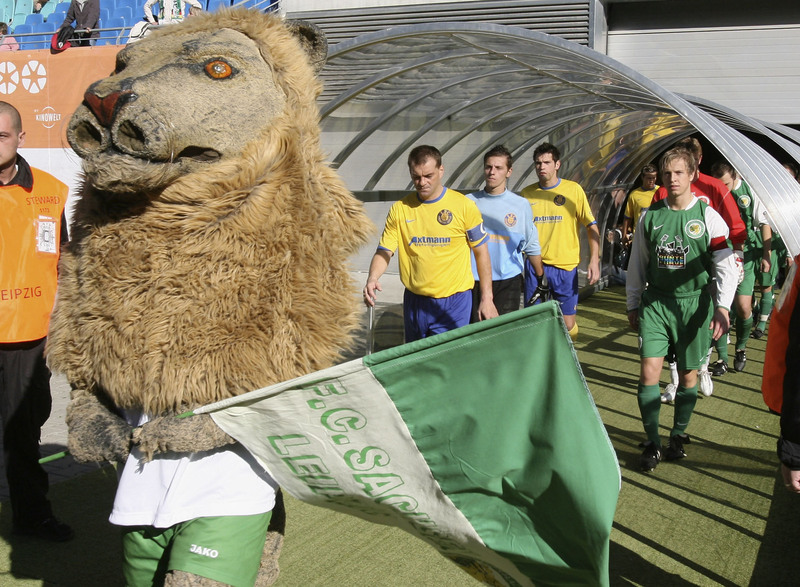 Mascots are supposed to be friendly and approachable, but that thing looks like the stuff of nightmares. For the record, visitors Loko Leipzig won the Leipzig derby 3-1.